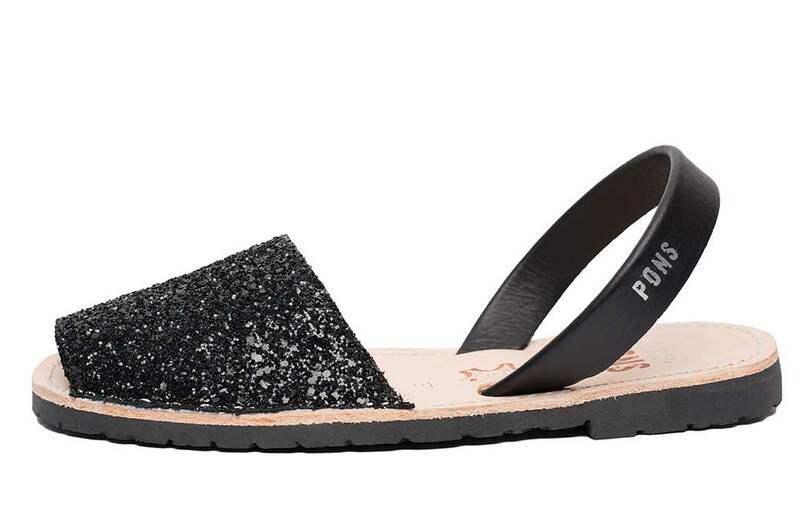 Turn the fun factor up with your go to black sandals by adding a hint of sparkle. Our women's Classic Pons Avarcas in Black Glitter will have your friends and passersby do a double take as you add an extra shine to the day. Individually handmade on the Spanish island of Menorca, these Avarca Sandals are produced with high quality leather and have a comfortable yet durable rubber sole.